One of the favorite PC games you can play today is League of Legends, where you get to control a champion and battle with other heroes. The game features almost 150 champions to choose from, and one of them is Zoe the Aspect of Twilight. She is a ranged champion as a sniper because of her skills and abilities. 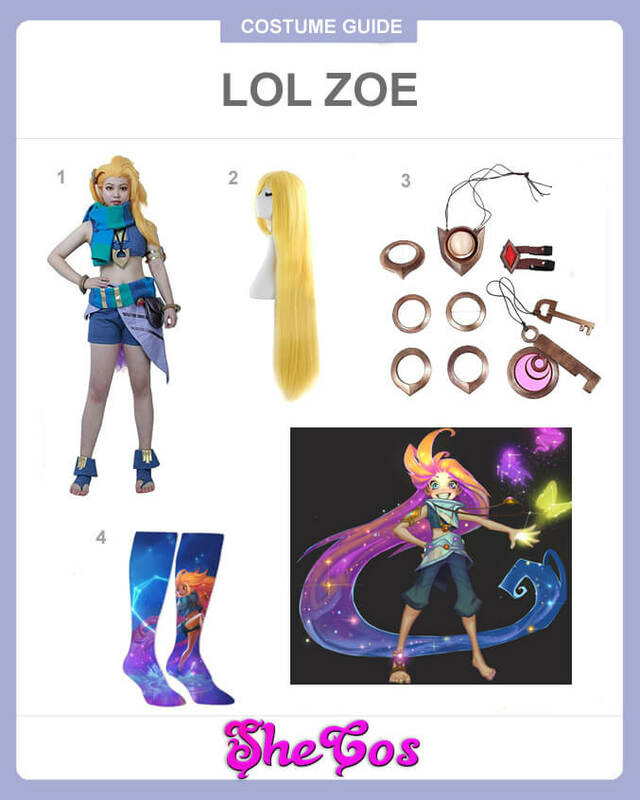 This article will be a Zoe cosplay guide. Zoe is an artillery mage who possesses abilities that makes her deadly as a sniper. She also can teleport short distances, allowing her to escape enemy attacks. Zoe is relatively a new character in League of Legends, as she was released only in late 2017. But that didn’t stop people from liking her, as she is at the top 35 of the game’s favorite champions. Since Zoe is a relatively new champion, there aren’t a lot of skins or costumes yet available for her. Zoe, the Aspect of Twilight, is the embodiment of mischief, change, and imagination in League of Legends. She is also the cosmic herald of Targon, delivering significant events that could have a huge impact on Runeterra. 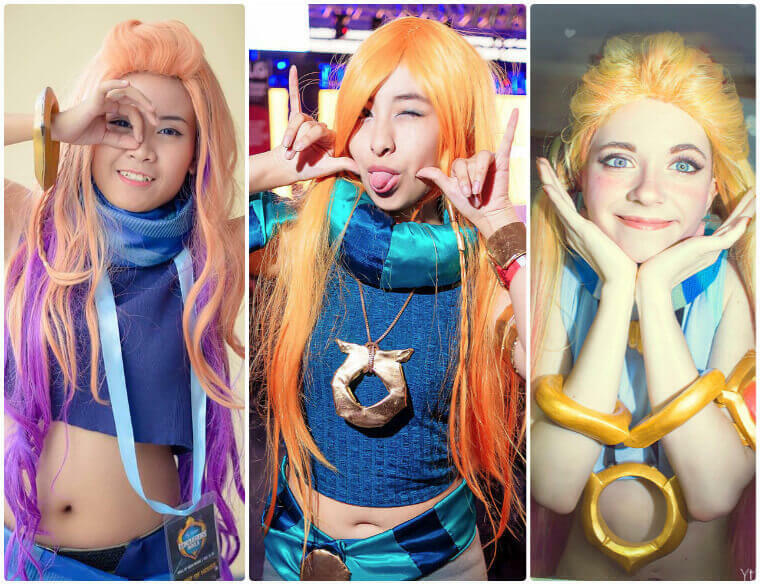 This Zoe cosplay set will feature her original outfit. The outfit consists of a blue sleeveless crop top that bare her midsection and a blue-green and blue scarf wrapped around her neck. It also comes with blue shorts with a small brown pouch bag on the side. There are a bandana and a blue-green and blue scarf wrapped around the waist. The set also has blue slippers that wrap around the ankle with a gold design. The collection is completed with a long blonde wig for Zoe’s hairstyle and a full set of her accessories, which includes her necklaces and bracelets. Zoe, as a Targon, didn’t come into power like all other cosmic beings, as she didn’t win a battle or sacrificed herself. She was just chosen at random, despite being only a regular young girl. She likes to trick mortals and play games and encountering her can both be fun and dangerous. Zoe is mischievous nature because of her still being just a child. Her being still a kid and mischief can also be seen in the outfits that she wears. 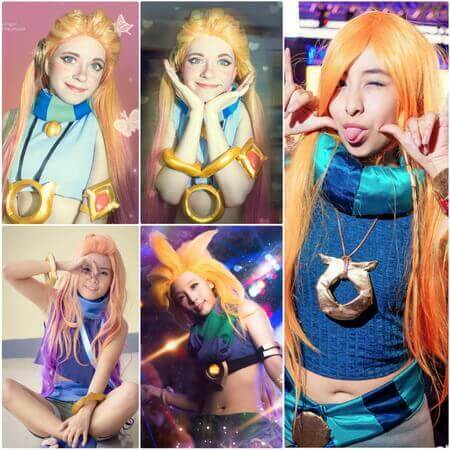 It doesn’t mean that you have to be a kid to be able to pull off Zoe’s appearance. 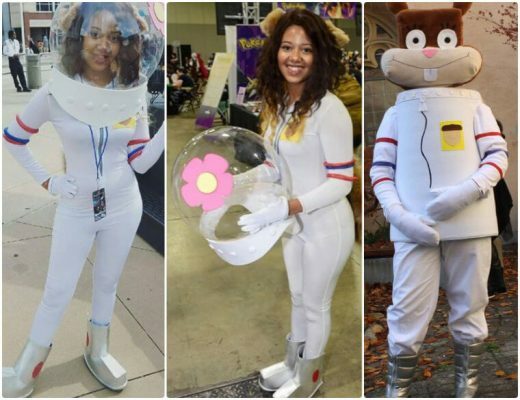 If you take a look at the Zeo cosplay photos, you can see that any lady can very well dress up as this champion and look good doing it. 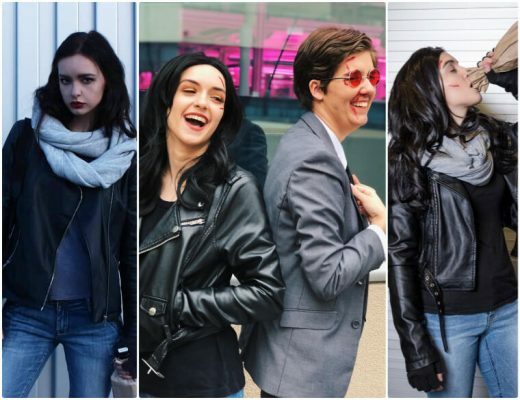 Cosplaying Zoe will make anyone look a lot younger.